At Scarboro Kia, we are available always and welcome your questions or comments regarding our Kia products and services. If you're looking to obtain more information about our selection of new Kia and pre-owned vehicles; if you want to know more about our financing options; if your car is in need of maintenance or repair service or Kia parts and accessories; we are here to serve you, in a timely and courteous manner. We are conveniently located at 2592 Eglinton Avenue in Scarborough, at the service of car buyers and owners throughout the GTA, and we look forward to hearing from you! Anyone looking to purchase a vehicle has reached the point where they must decide between used and new. Those who have weighed the pros and cons of each option may have realized that there are perhaps more benefits than they expected from used cars. Of course, the most noticeable advantage is the affordability. Buying a new car can be very expensive. Going for the used option saves funds that can be later used for gas money, repairs, or any of the other extra costs that go along with owning a vehicle. Another benefit to consider is the lower rate of depreciation. It is a common saying that when you drive a new car off the lot, it immediately loses value. This is true, and continues to be true in the first years of ownership. With a used car you will lose less money at a lower rate. This means that, should you ever resell it, you will be able to get back an amount closer to what you spend originally. These are only a couple of the multiple benefits to buying used vehicles. 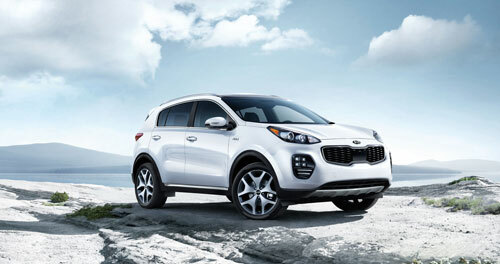 Let us at Scarboro Kia help you find the best used option today.